Getting a new car from the dealer and having to deal with the car salesman can be tedious, frustrating, and sometimes outright ridiculous. They're there to make money, however you are the consumer and you will have to haggle the price to get the car at a reasonable price, and for what it's for what it's actually worth. This is what you need to do to get the best price possible. The first and foremost rule of buying and haggling for a car is NEVER PAY THE STICKER PRICE! Dealerships will always mark up the price of a vehicle in order to maximize profit, it's business and you will almost never get a good deal paying the sticker price. Gather up all the prices of the vehicle, trim levels, packages, options, accessories, the invoice price, dealer fees, and last but limited the price you think you should pay for the vehicle. Have all these numbers in memory or on paper and ready to refer to. Go to the Dealership at the very last day of the month, the year, or the fiscal quarter. Why? 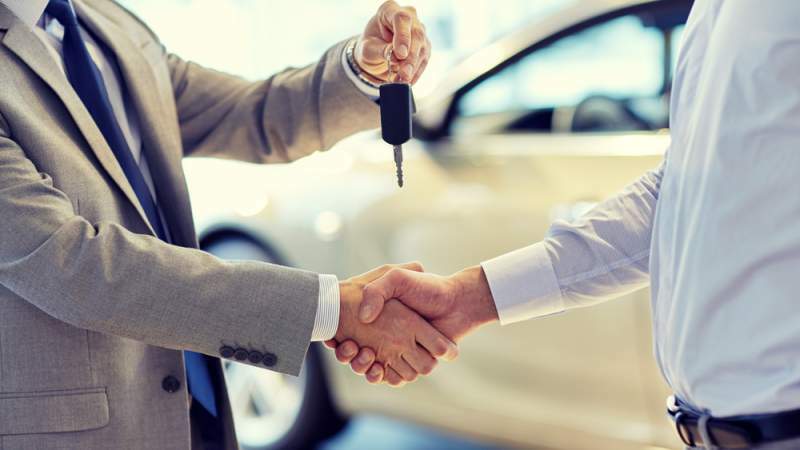 Because chances are they may be short on their quota of vehicles they need to sell, which gives you some leverage for a more flexible price on the car. Even if you know what exact vehicle you want, always be discreet and don't let the seller know your fixed on the car. If the seller knows you want say a Camaro for example, he will figure you are willing to pay more for what you want. However if the salesperson isn't sure of what you want, he will be willing to make the offer of the Camaro more attractive than a competing dealership selling Mustangs. If a salesperson isn't budging on the price, and is offering freebies such as free car mats, or free car washes, then use this as leverage. Express that if they are willing to give these items for free, that you'd rather pass on the deals and use the money they would have spent otherwise to lower the price on the car.